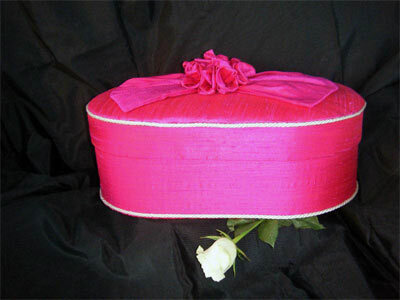 This stunning large oval box is covered in magenta 100% pure dupion silk. 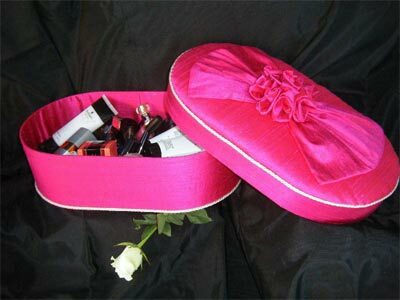 The lid is softly padded and topped with fabric bows and hand-made fabric roses. A sample swatch of the fabric is available on request. a hairdryer, or even special keepsakes. If it is purchased as a gift (perhaps for a wedding or anniversary) then perhaps a bottle of bubbly inside?